Gregory, Patrick T.. "Snake". The Canadian Encyclopedia, 29 May 2018, Historica Canada. https://www.thecanadianencyclopedia.ca/en/article/snake. Accessed 24 April 2019. A snake is a long, slender reptile of suborder Serpentes, order Squamata (which also includes lizards). In Canada, 26 species and one hybrid are native, with most species occurring in the southern part of the country. 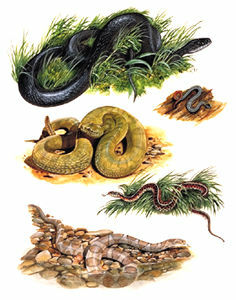 Grey rat snake (top), northern redbelly (right), western rattler (centre-left), red-sided garter (centre-right) and northern water snake (artwork by Jan Sovak, 1989). At over 180 cm in length, the bullsnake, or gopher snake, is one of the longest in Canada (Corel Professional Photos). Snakes are limbless; however, primitive forms have a pelvic girdle and spurs, which are vestiges of hind limbs (e.g. Canadian rubber boa). As with other reptiles, the body is covered by scales, which help reduce water loss in dry environments and provide mechanical protection. This epidermis is shed, usually as a single piece, a few times a year. Although some tropical snakes attain great lengths (e.g., reticulated python and anaconda, at 8-10 m, are the longest snakes known), Canadian species range from about 40 cm (northern redbelly snake) to over 180 cm (grey and eastern rat snakes and bullsnake). More than 3,000 species occur worldwide, mostly in the tropics. In Canada, 26 species and one apparent hybrid (eastern rat snake), classified in three families, are native: Boidae (one), Viperidae (four; one extirpated) and Colubridae (22). In the family Colubridae, the eastern and grey rat snakes were formerly considered one species, the black rat snake. Only the viperids are dangerously venomous, but some larger colubrids can give painful bites. Most species occur in southern Canada, but the common garter snake can be found as far north as the 60th parallel, near Fort Smith, NWT. Snakes live in various habitats and include burrowing, tree-dwelling, freshwater and marine forms; most Canadian species are terrestrial ground dwellers, but some are semiaquatic or aquatic, mainly in fresh water. Although limbless, snakes can move in various ways. In the most common method, lateral undulation, the body is formed into a series of horizontal curves, the back of each curve pressing against irregularities in the ground; a similar technique is used in swimming. Heavy-bodied snakes (e.g., rattlesnakes) can also exhibit rectilinear (straight line) locomotion, propulsion being provided by the forward movement of the skin and anchoring of the wide, posteriorly oriented ventral scales, followed by forward movement of the body within. Concertina movement is used by some species in confined spaces, i.e. the snake anchors its posterior end by a few horizontal curves, extends and reanchors its anterior end, then brings the posterior part forward. The most specialized form of locomotion, sidewinding, is used on soft (and hot) substrates such as desert sands, but is not practised regularly by any Canadian species. All snakes are carnivores and eat their prey whole; most species also are adapted to swallowing large prey. Boids, viperids and larger colubrids feed mainly on warm-blooded prey (e.g., small mammals). Other species of colubrids feed on a wide variety of prey, including small mammals, amphibians and fish; some, especially smaller species, eat small invertebrates (e.g., earthworms, slugs and insects). The elastic ligament joining the two lower jaw bones and the numerous joints between bones of the skull allow the various parts of skull and lower jaws to move independently. While back-curved teeth hold prey, snakes "walk" the four quadrants of the jaws over their prey when swallowing. Elastic skin and a windpipe opening in the mouth are also adaptations to the often lengthy process of swallowing large food whole. Most species detect prey visually and chemically. Snakes' main chemosensory organ is the vomeronasal organ, in the roof of the mouth. Molecules are delivered to this organ by the forked tongue, which is continually flicked out of the mouth when the snake examines potential prey. Pit vipers (eg, rattlesnakes) feed mainly on warm-blooded animals and can accurately locate prey even in darkness via the thermosensory pit below the eye, and many boas and pythons have thermosensory organs along the upper or lower jaw. Although snakes can detect earthborn vibrations and low-frequency sound, their hearing is poorly developed and is probably of no importance to predation. Many species simply grab prey and swallow it live, usually head first; however, the risk of injury is relatively high with some prey. More specialized modes involve killing before eating. Constrictors coil around prey, preventing it from breathing or causing heart failure. Although boas and pythons are the most famous constrictors, constriction is practised by many other species (e.g., bullsnake and rat snake in Canada). The most effective and least risky means of handling prey is by envenomation. Venomous snakes have a venom gland above the upper jaw, connected by a duct to a tubular fang at the front of the mouth. Injected venom kills prey and begins its digestion while the snake waits for it to die. In vipers and pit vipers, the fang is so long that it is hinged back along the roof of the mouth when not in use. The four rattlesnakes native to Canada are pit vipers (one, the timber rattlesnake, is extirpated). Other highly venomous snakes (eg, cobras in Africa and Asia) have shorter, permanently erect fangs. Some colubrids are venomous, usually mildly so; they have grooved teeth at the rear of the jaw and "chew" venom into prey. The only Canadian rear-fanged snake is the secretive and harmless desert night snake, which reaches its northern limit in British Columbia. Like other reptiles, snakes are ectotherms (having body temperature governed mainly by external conditions) and can regulate body temperature to some extent by moving in and out of shade. 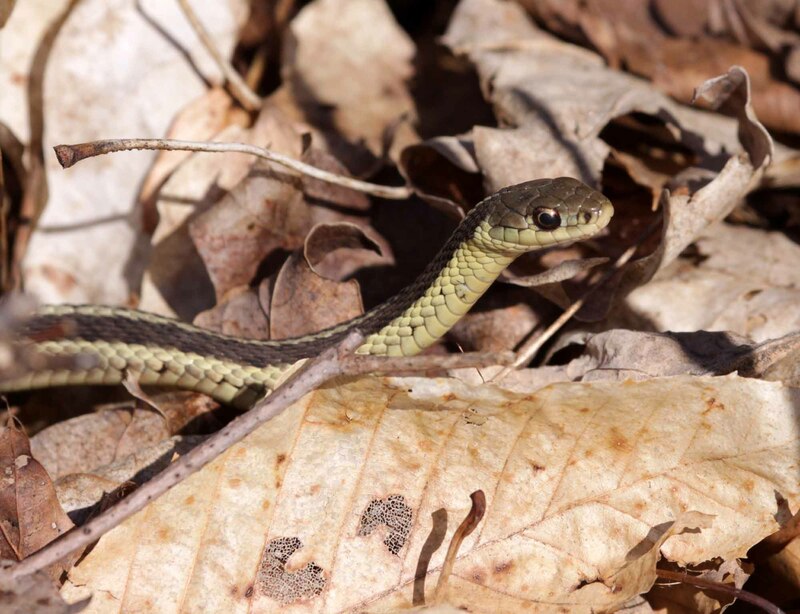 While northern snakes are generally more cold-tolerant than tropical species, the extreme seasonality of north temperate regions means that snakes are regularly faced with conditions too cold for continued activity or survival. Snakes in Canada must therefore hibernate below the frost line. 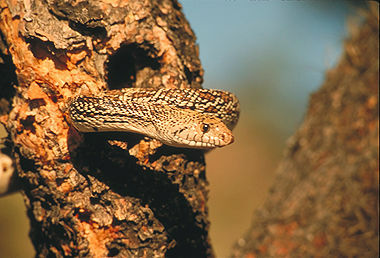 In areas with very cold winters, sites that allow snakes to go deep enough to avoid subfreezing temperatures may be scarce, and available sites are used by many snakes. Communal hibernation is demonstrated particularly well in Western Canada by the western rattlesnake and the common garter snake; hibernating groups of the latter may number in the thousands. Because overwintering sites are often concentrated in particular areas, communal hibernation is sometimes accompanied by migrations of several kilometres between hibernation site and summer habitat. In Canada, most species of snakes mate in spring shortly after hibernation. Western, prairie and timber rattlesnakes, however, mate in late summer or fall and the female retains sperm over winter; fertilization occurs the following spring. Fertilization in snakes is internal and sperm are transferred into the female by a copulatory organ. Each male has two such organs (hemipenes) housed in the base of the tail. Snakes include egg-laying and live-bearing species. While egg-laying species are more numerous worldwide, the proportion of live-bearing species is higher in cooler environments (e.g., 15 of the species in Canada are live-bearers). Live bearing is, presumably, a useful adaptation where summers are short because the female can better regulate the temperature at which the young develop than if eggs were simply laid in the ground. Females may give birth late in summer and be unable to feed enough before hibernation to reproduce again the following summer. Consequently, female snakes at high latitudes may produce a brood only every two or more years (e.g., the western rattlesnake). In Canadian species, litters or clutches typically range from one to 25 young, although some species may produce larger broods. Carl H. Ernst and Evelyn E. Ernst, Snakes of the United States and Canada (2003); Harry W. Greene, Snakes: The Evolution of Mystery in Nature (1997); F. Harvey Pough, Robin M. Andrews, John E. Cadle, Martha L. Crump, Alan H. Savitzky, Kentwood D. Wells, Herpetology, 3rd ed (2004); George R. Zug, Laurie J. Vitt and Janalee P. Caldwell, Herpetology: An Introductory Biology of Amphibians and Reptiles, 2nd ed (2001). SnakesSee descriptions and current conservation rankings for snakes in Manitoba. From naturenorth.com. Snakes and Lizards at RiskBasic biology and species status of various snakes and lizards in Ontario. A Government of Ontario website. 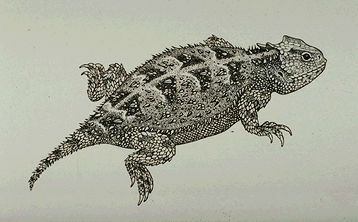 Reptiles of AlbertaAn illustrated brochure about the natural history of reptiles found in Alberta. From the Alberta Conservation Association. 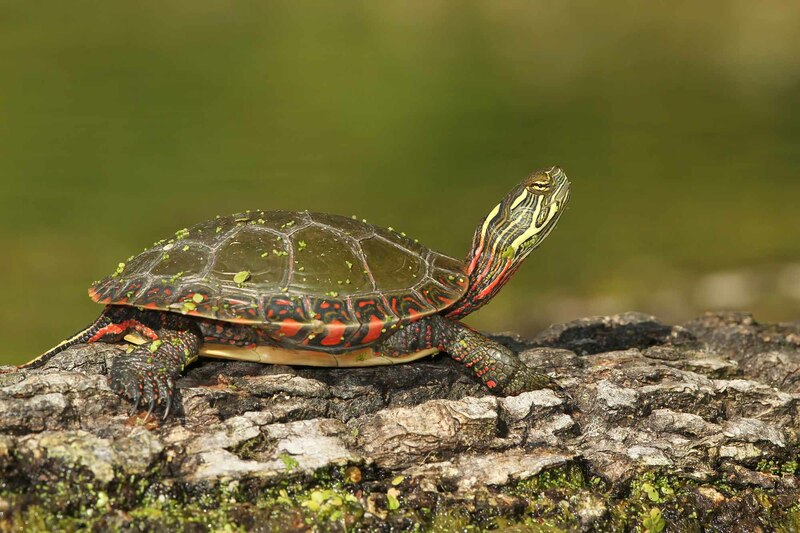 Reptiles and Amphibians of OntarioAn online guide to reptiles and amphibian species found in Ontario. From Ontario Nature.